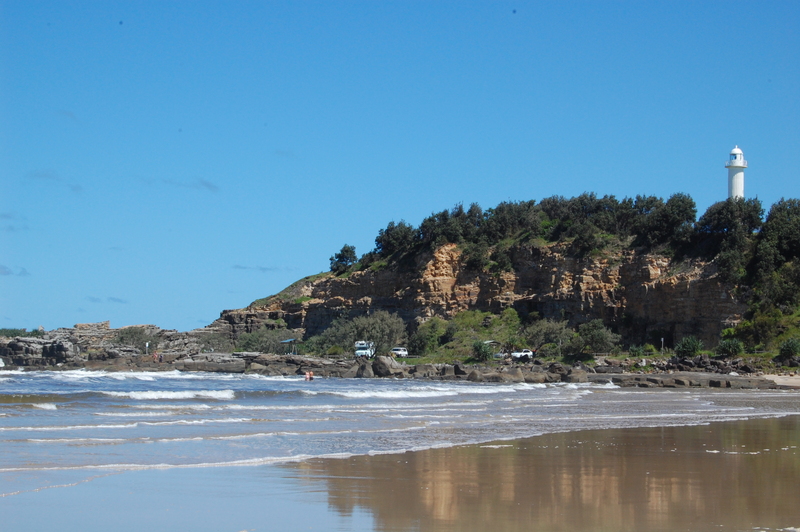 We did a lot of research into the best place to stay in Yamba. 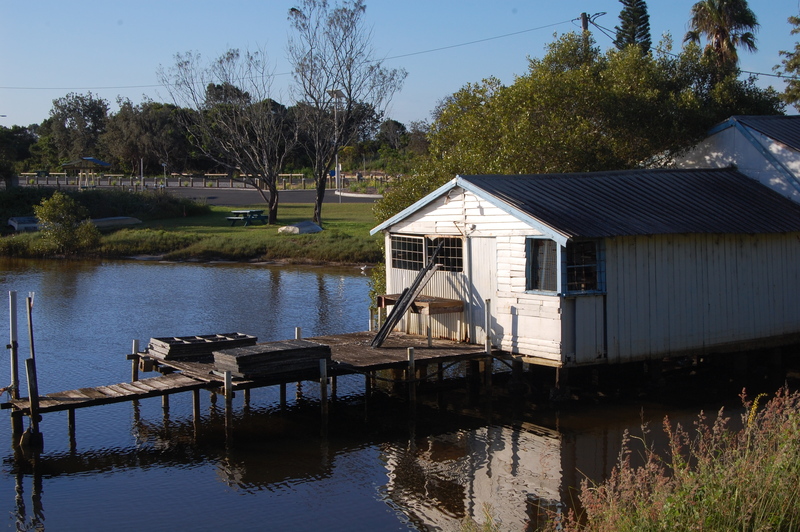 The Calypso is one of a few caravan parks scattered along the banks of the river, but it’s the one closest to the action. 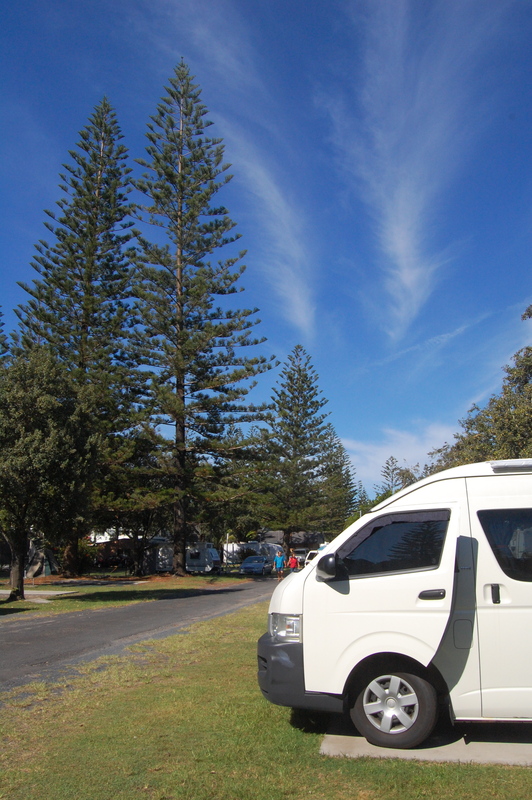 We were staying for three nights and wanted to set up camp for the whole weekend without having to move the campervan and all its paraphernalia whenever we ventured into town. Dismantling our awning is not for the faint-hearted! This review is just our impression of the site. 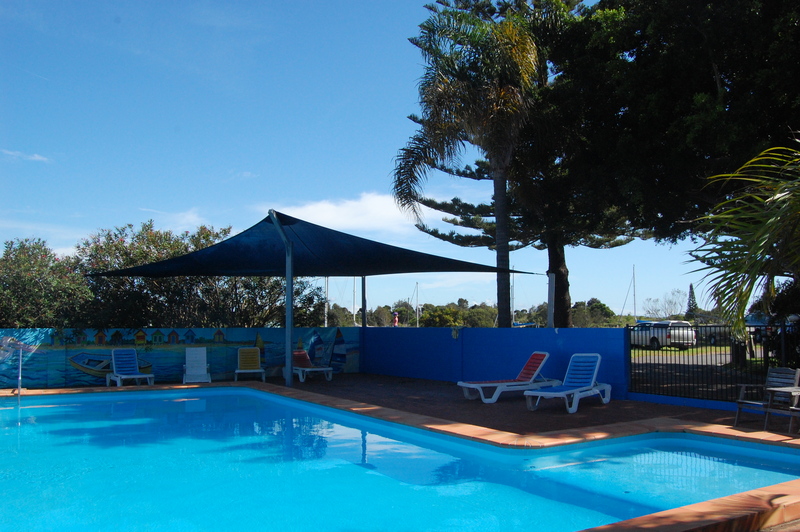 For full details about facilities and prices, visit the website: www.calypsoyamba.com.au. The location is ideal. 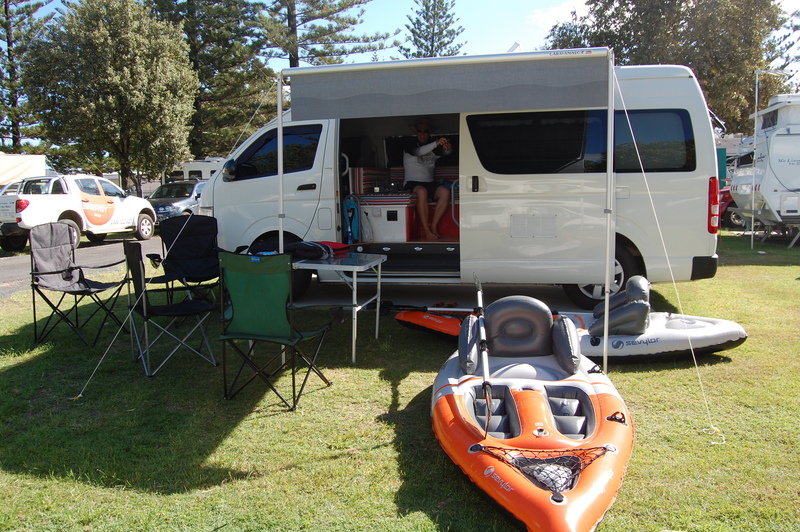 Whether you’re in Yamba for surfing, fishing or simply exploring the coastline, the Calypso’s position next to the river is quiet, peaceful and within easy reach of the main attractions. 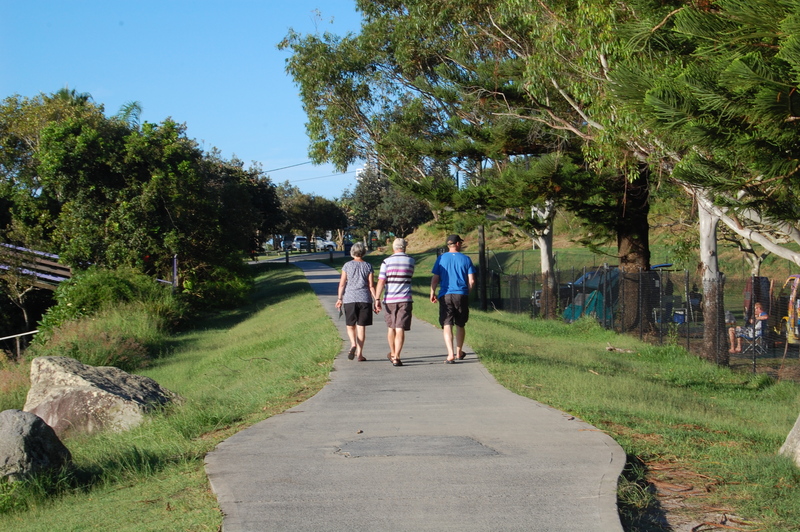 A path runs along the river at the back of the campsite down to the beach, and then up to the lighthouse and Yamba lookout. 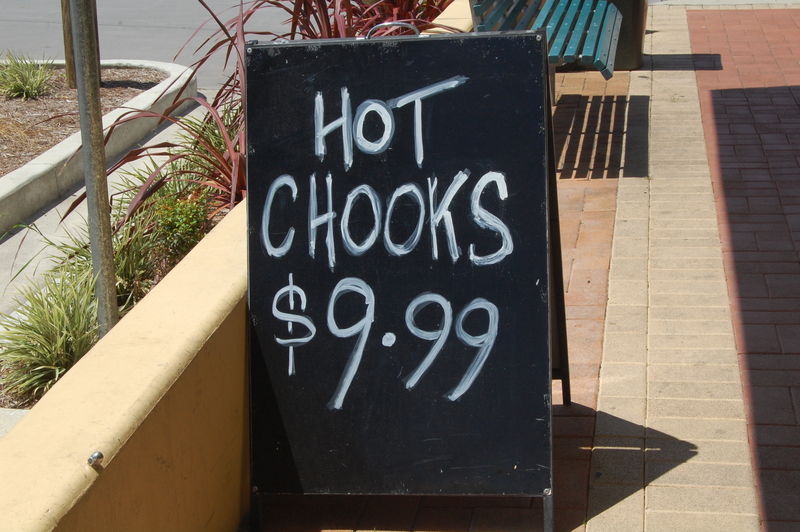 There’s a handy Spar and a couple of takeaways at the front of the campsite, or it’s just a couple of minutes’ walk into the little town. 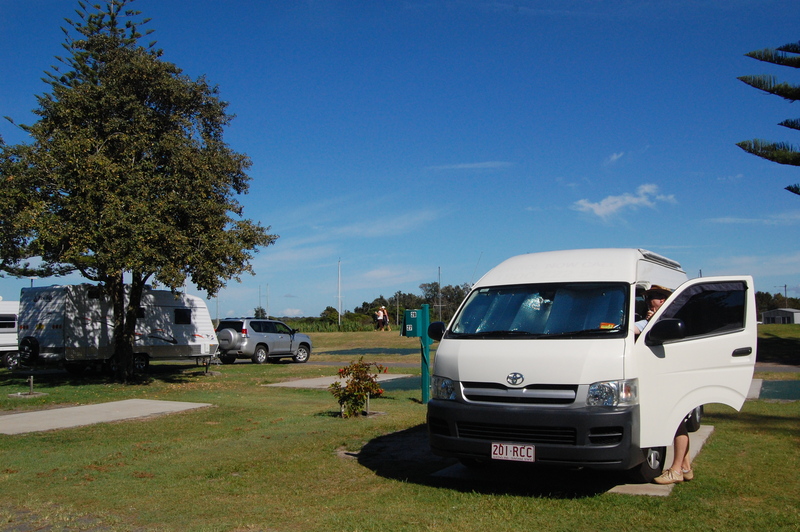 Once you’ve exhausted Yamba, the campsite is right next to the ferry jetty and you can catch a boat to nearby Iluka several times a day. It’s quite an orderly, regimented site hemmed on one side by regal looking lego trees and on the other, by the river. By late afternoon a sizeable crowd had gathered with a glass of wine to watch the sun set over the river – all very civilised. The pitches were a good size, although we didn’t get any natural shade. The washblocks were fine and usually empty. There were also some ensuite washrooms which didn’t seem to attach to a particular pitch, or if they did, there were a lot of people sneaking in. It’s still a novelty cooking on gas in our campervan so we mostly celebrated the end of the salad era by serving up some hearty stews and soups. There are a few takeaways near the site though, including the classic ‘Chick Inn’, and our caravanning neighbours cruelly wafted some pizza boxes under our noses as we sat and enjoyed our delicious… stew. There’s a small strip of restaurants a short walk away opposite the Pacific Hotel, which were packed on the Saturday night we were there. We had a really nice dinner at the Yamba Bar & Grill which we’d definitely recommend – especially the desserts. The food is meant to be good at the hotel as well; we had drinks there one afternoon. 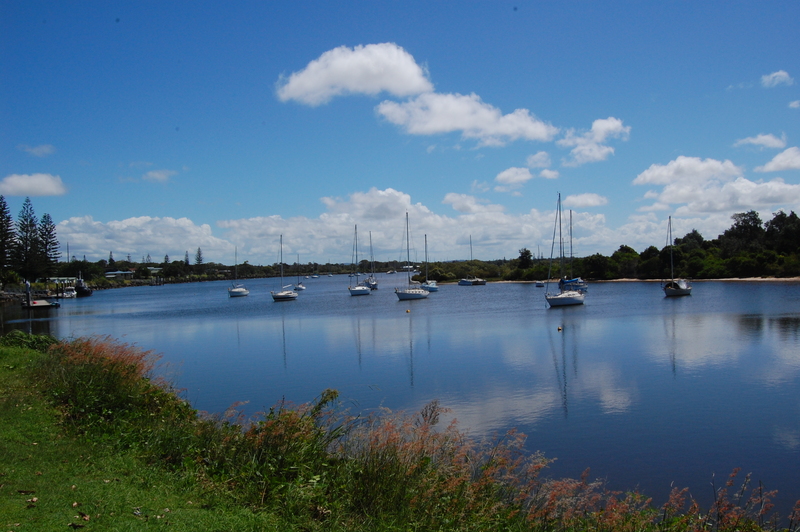 The views over Yamba are great, it’s just a shame you have to sit behind a glass wall to see them. Given Yamba (apparently) has the world’s best climate, a large outdoor terrace would be so much nicer than the current indoor seating area, which kind of reminded me of an old village hall – albeit with lovely views. 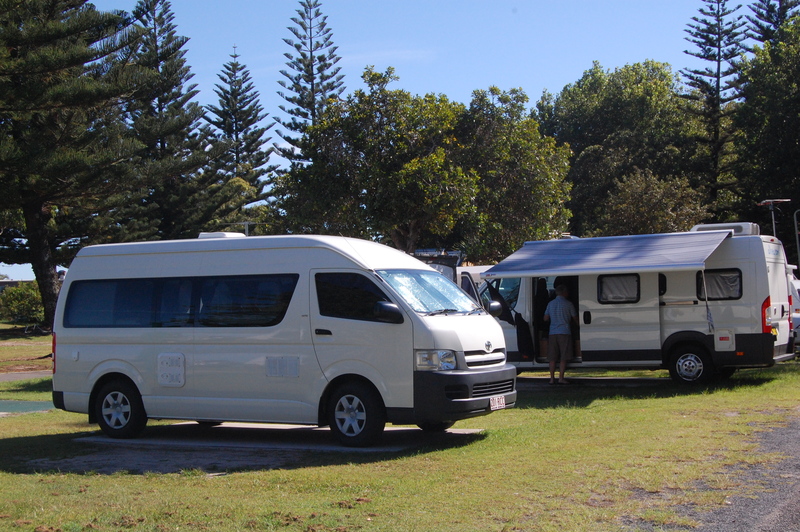 We were traveling with two silver nomads so we fit in quite nicely, although we still shrank the average age somewhat. 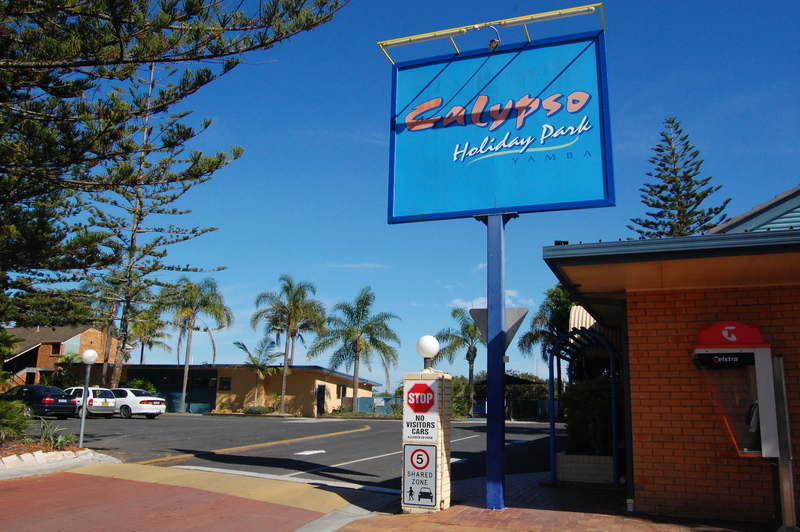 I think the other caravan parks in Yamba are more geared towards families with children so you might find the Calypso a bit quieter. Ah, yes. Mosquitoes like Yamba too. Most of the campsites pride themselves on being close to the river, so you’ll inevitably have to share your romantic sunsets with a few hundred buzzing locals. It wasn’t unbearable and I’ve been to far worse places along the east coast, but don’t forget the aerogard. And a fly swat. Or fish slice. 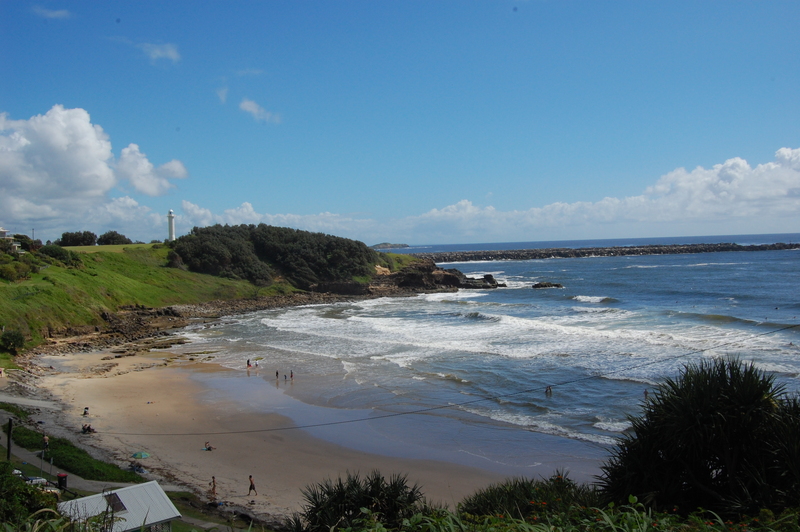 There isn’t a lot to do in Yamba, but it’s good for fishing, surfing and chilling out – and all of that is very handy from the Calypso. The site was well maintained and the atmosphere was friendly. Next time we’ll take some rods and bait and try and put that fish slice to better use.